The Anode Cell CMS (Current Monitoring System) is designed to measure an individual anode cell’s amp draw and monitor the overall performance and efficiency of the anode cell over time. The CMS allow users to monitor the amp draw of individual TechCELLs, an indicator of TechCELL performance and condition. Monitoring TechCELL performance will assist in determining ideal configuration, and prevent product defects occurring in the paint bath. The analog model(see fig.1) displays all amperage readings on individual analog on the panel while the PLC based model (see fig.2) displays all readings on an HMI. The analog model allows the user to monitor individual TechCELL amp draw simultaneously through analog meters mounted on the enclosure. 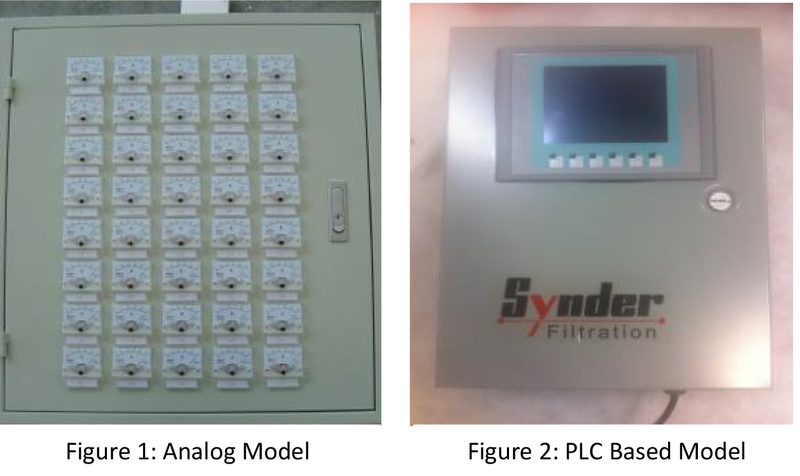 The PLM based model, like the analog model, allows users to monitor multiple anode cells simultaneously, though a touch screen HMI. Built in data logging feature allows the users to download, plot and analyze the data collected by the CMS. No modification required for existing systems. The shunt sensors can be installed directly between the TechCELL and rectifier using existing quick connects (see fig.3). 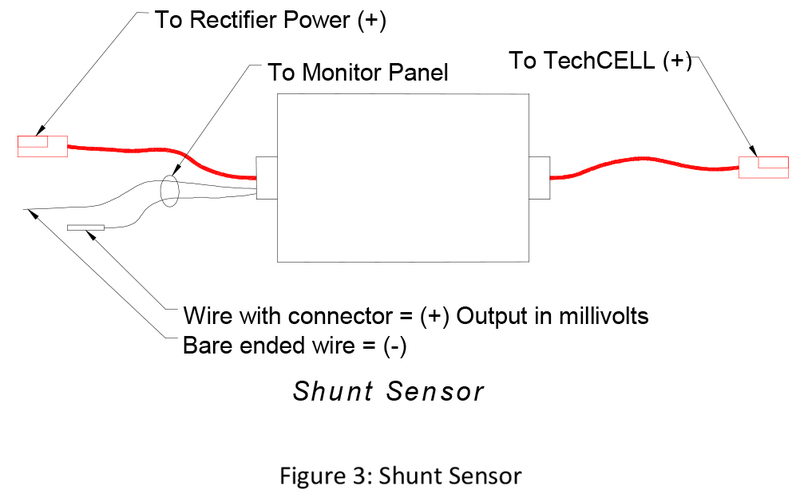 Power from the rectifier passes through the shunt prior to entering the TechCELL., the resulting voltage drop across the shunt can then be measured and used to calculate amperage. The signal from the shunt is then processed, and converted to amperage reading on the analog gauges or recorded into the PLC and displayed on the HMI.